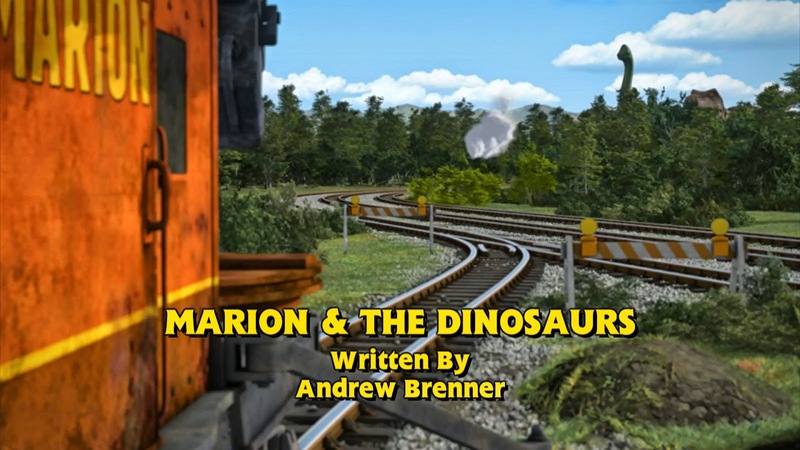 Well, the final batch of episodes have arrived on the Dinos and Discoveries DVD, so it's time to get down to business with the final six reviews of the series, kicking off with Marion and the Dinosaurs! 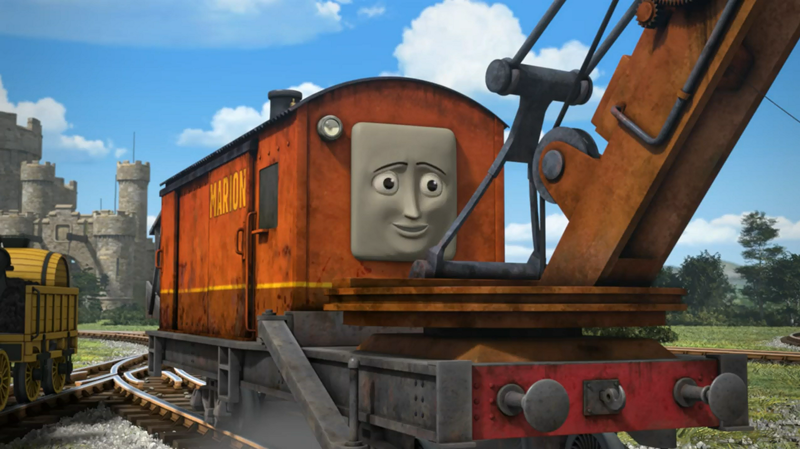 I really enjoy Marion as a character because she's really interesting and well rounded. 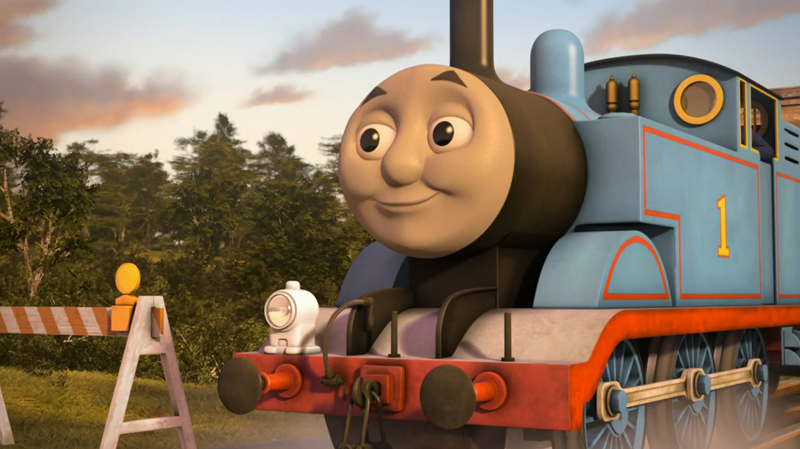 I also quite like this episode, but it's also, in my opinion, the one that has the most problems so far. Before I get to that though, I'll get on to what I really liked. First off, I like how all of Tale of the Brave's major plot points have been expanded on this series. It's given the special more of a purpose, rather than just being a tool to introduce new characters that will feature in future series. Marion's bragging about finding the bones was well done, too. I can forgive her forgetting that the skull had actually been discovered as it flew towards Percy after the landslide hit as boastful people usually forget the important details. Not to mention it was nice to see Toby again. And I'll get it out of the way now: his voice was much better here than in Signals Crossed. The most interesting part though was why Marion was digging. 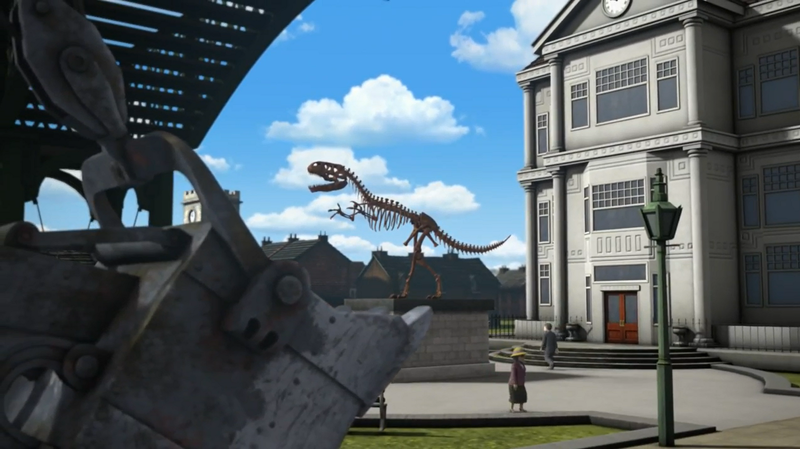 The whole plot point was forgotten about after her running away from the dinosaur models, but I'm rather hoping it isn't just dropped completely. They could do a lot with that plot of land when it's fully dug up, unlike the one from Marion and the Pipe, where they'd have to be careful in case they did more damage to the pipeline. The main thing I really enjoyed though was the drama. Even though they turned out to be models (see, haters? 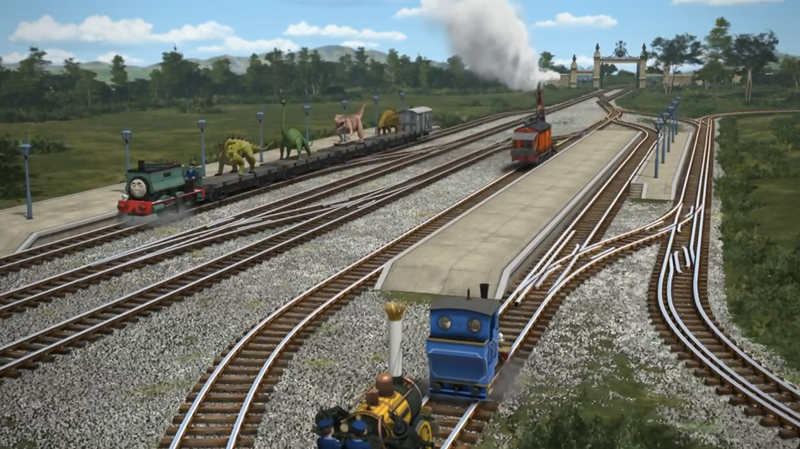 Even in the CGI era you'll be able to see models! ), the dinosaurs did look pretty lifelike and intimidating, and the way they disguised Samson without using fog was brilliant. And yes, I really liked seeing Stephen and Millie working together for once. Usually, it's either Stephen in the spotlight or Millie. I don't mind either being in the spotlight alone, but it's nice to see them together once in a while. It is also pretty humorous. I wouldn't say it was the best for comedy, but it certainly isn't too bad. But then we come to the bad parts, and this is probably where the episode falls apart. First is a nitpick. 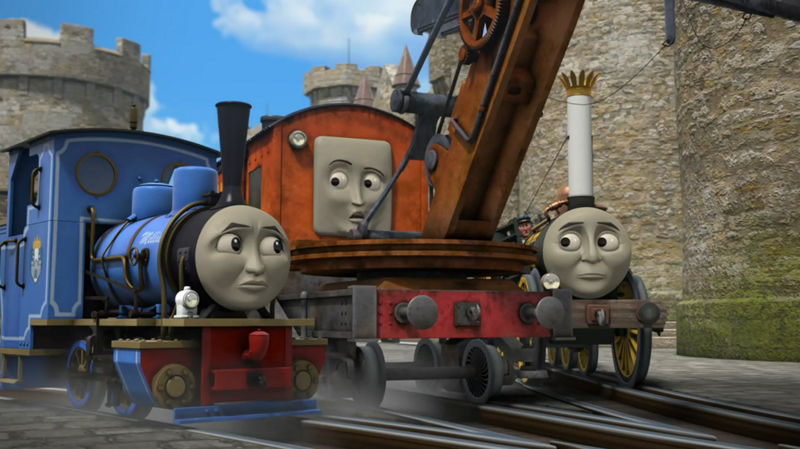 I'm not sure where the digging takes place, but Thomas seeing Marion there feels really contrived. Yes, I know I've brought this up a lot in my series 18 reviews, but the team is trying to convince the audience that Thomas has a branch line to run while going all around the island solely for the screen time. They can't just pick and choose like this unless they're producing an episodic show with no continuity. 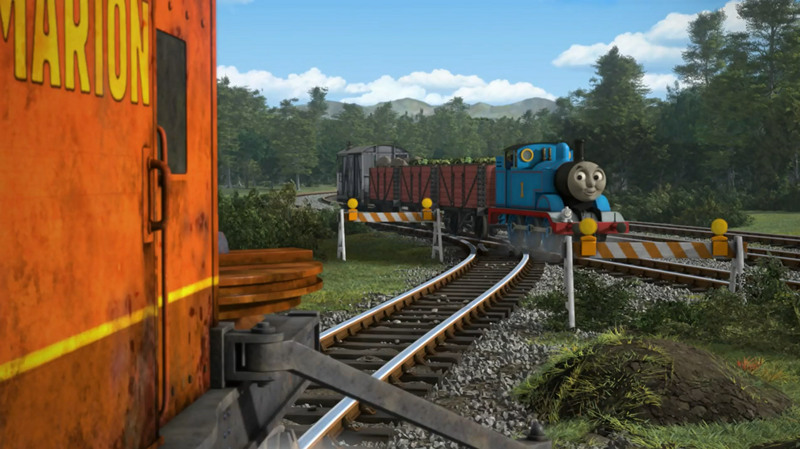 They need to decide whether Thomas runs a branch or not and stick with it. 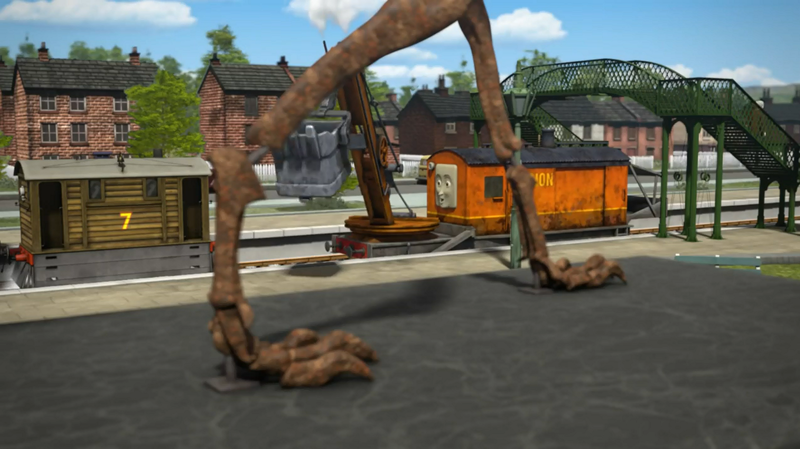 The scenes at Ulfstead Castle are more understandable as that does have a connection to his branch, as does Knapford Station. 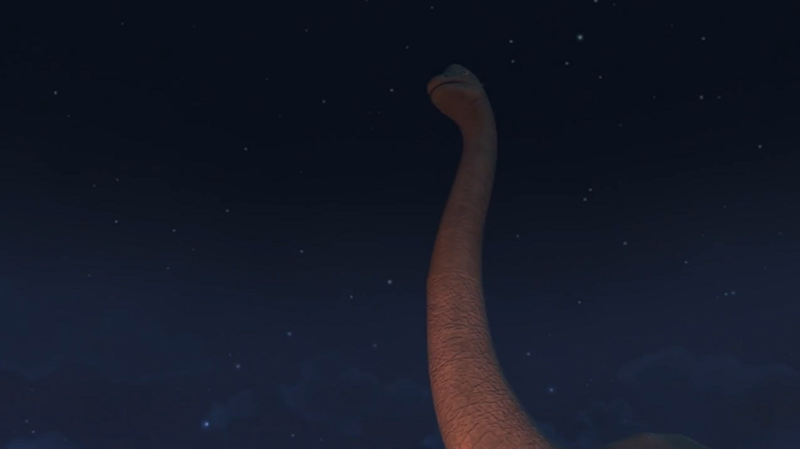 And then there's the second problem: the dinosaurs themselves. They're not badly designed, they're just... huge. 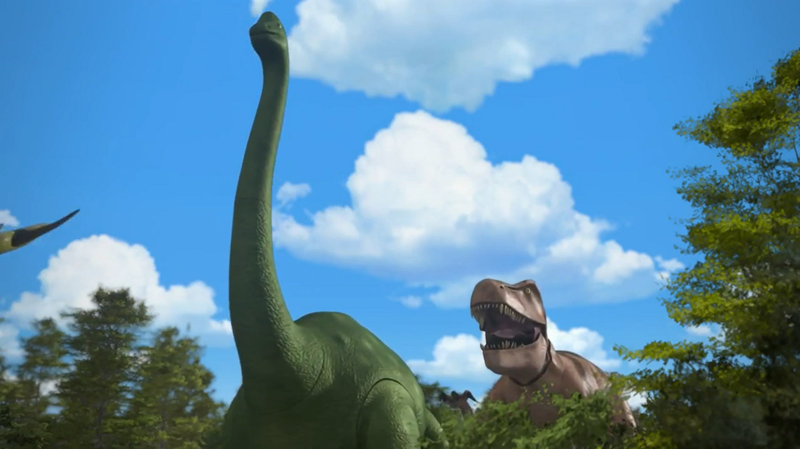 Throughout the episode, they're described as being "very important" to the dinosaur park, which is fair enough. But if they're so important, why were they built while in transit? Sodor has many bridges and tunnels to traverse, and while three of them might just scrape through, it would be impossible for the green one with the long neck to fit through any of them! 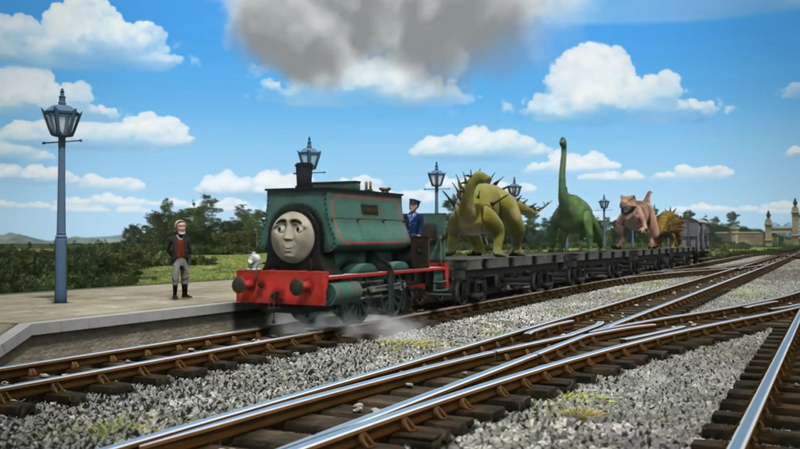 Yeah, I know that there wouldn't have been a story if they weren't pre-built, and I wouldn't have minded if the other three were left built because they don't look tall enough to bother a bridge, but why did they leave that huge green one built? And finally, the biggest problem. Engines can not get lost!! Signalmen are the ones who guide the engines to their destinations! The driver should have just informed them where they were going and they would pass the message on down the line so that they could get the train to its destination! Moving on, the animation was superb as usual. 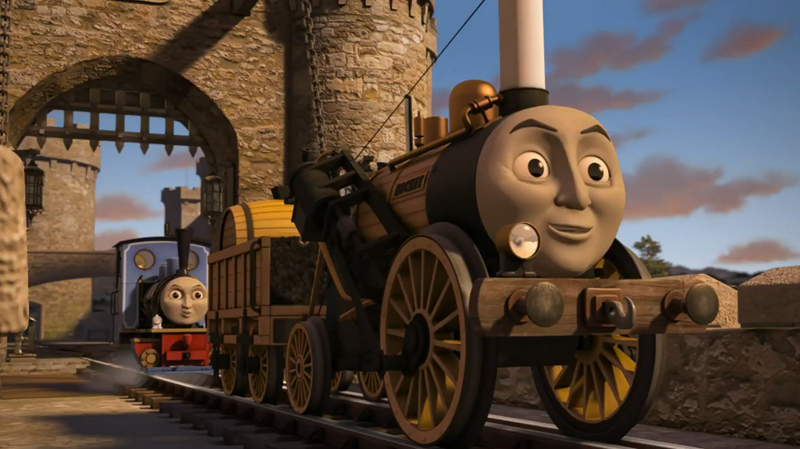 There was a case of Thomas' brake van (and three trucks) going missing at one point, but the rest looked brilliant. The lighting as it shone on the dinosaurs made them seem much more intimidating and the rest was brilliant as well. The voice acting was great as well. Olivia Colman has done a brilliant job with Marion and while her "Eek!" was a bit... weird, the rest of her performance more than made up for it. And Robert Wilfort was brilliant as Samson. 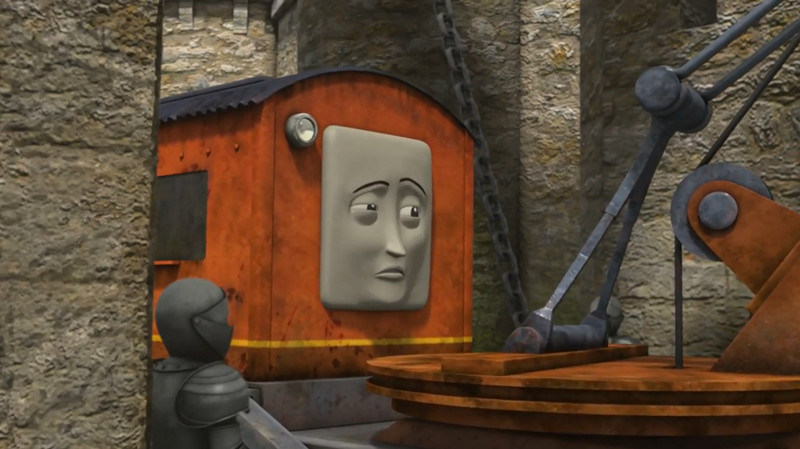 While I'll get to him as a character in later reviews (since he didn't do much here), Wilfort did very well giving him a personality using only his voice. The music was, for the most part, the standard fare, but I really liked the theme heard when MarIon first saw the dinosaurs. It built up the tension nicely, and the end of the scene, where she felt relief was really well done, too. #ThomasSeries18 #MATD Perhaps my favourite episode of the lot? Marion always makes for amusing episodes and here she was on top form. If you can ignore the glaring plot holes, this is a pretty good episode. I can forgive them slightly as the drama and the rest of the plot was enough to see it through. But I just hope that these lapses are only a one off for this DVD. I have to say, after so many realistic episodes this series, it's a crying shame that they relapsed here. I somewhat agree and somewhat don't. Firstly, the "getting lost" plot hole WAS there in S1's "James and the Express" and the story was written by Awdry himself! 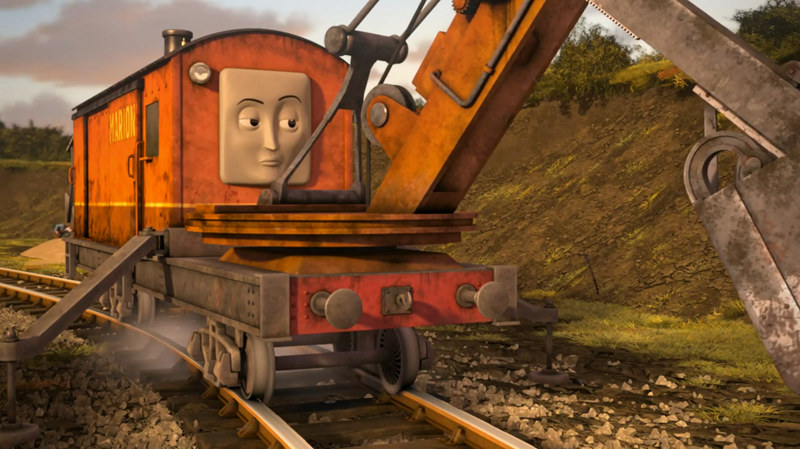 so, the "glaring plot hole" doesn't make any sense as it was there in the RWS, too!